As much as I had to admit it, I know that the kids will be headed back to school in 5 weeks. Am I ready for them to go back to school? Absolutely not! Do I know that I still have to purchase their clothes, shoes, and school supplies so that they are ready when school starts? Absolutely! That's why I've already been shopping summer clearance and scoping out the best prices on the things they are going to need. It is a nightmare to find jeans that actually fit my teenage son. He has very long legs and has a slender build. 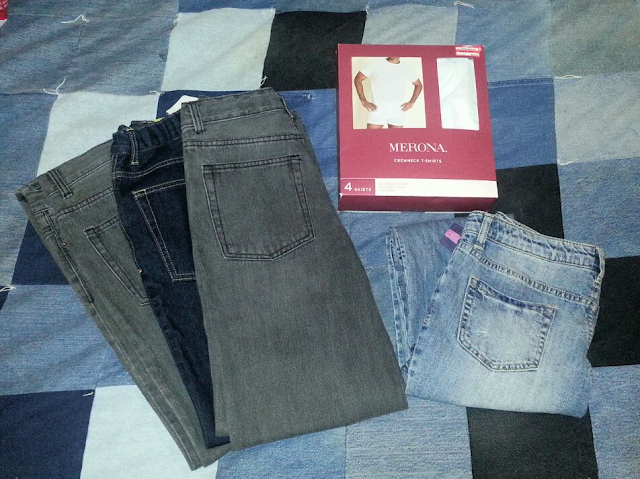 I'll have to say that I dislike shopping for his jeans almost as much as I hate shopping for mine! So, when I find jeans that actually fit him the right way, I have to buy a couple pairs. Yesterday, we found three pairs and they were all on clearance! 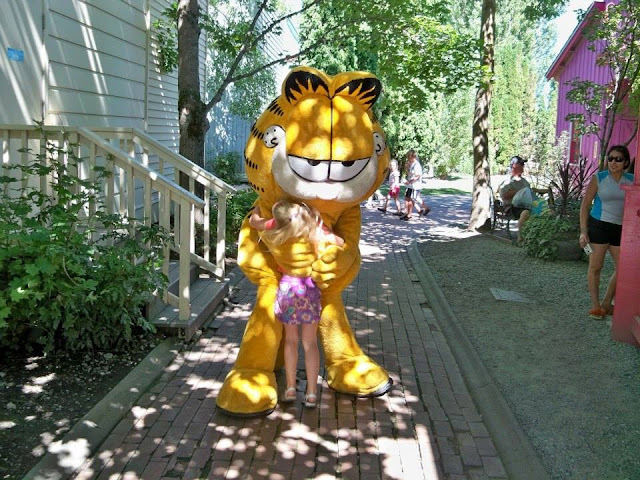 Silverwood Theme Park & Boulder Beach Water Park ~ Family 4 Pack Ticket Giveaway! Summer is about having fun, spending time outdoors, and creating family memories that will last a lifetime. 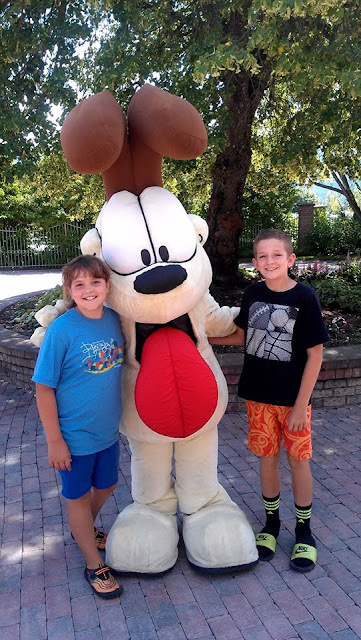 One of our family's favorite summer activities is going to Silverwood and Boulder Beach. 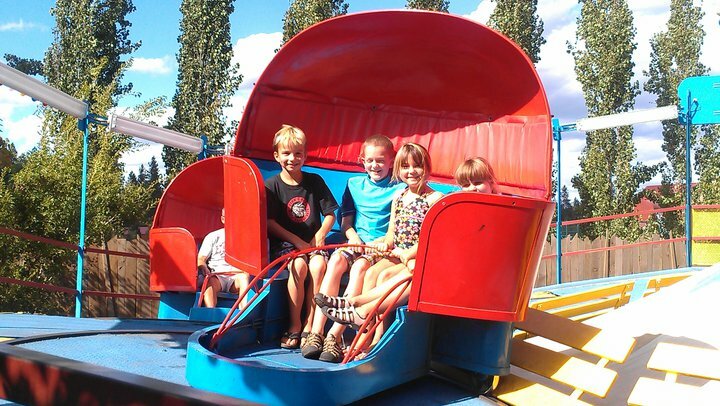 Located in beautiful North Idaho, Silverwood Theme Park is the Pacific Northwest's largest theme park, with over 70 rides, slides, shows and attractions, including four roller coasters, Boulder Beach Water Park, a steam engine train, live entertainment, magic shows, restaurants, and more. The carousel is just inside the main gate at the entrance of the park. From the time our kids were little (1 1/2 years old), they knew that this ride was our very last stop in the park before heading home. It made it easy to leave the park this way - no fits! 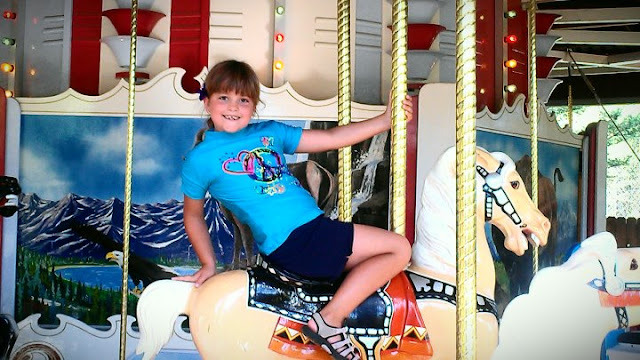 Now at ages 14 and 11, we still ride the carousel once or twice before heading home - it's a tradition! FREE Backpack Full Of School Supplies From Verizon TCC! On August 1st, you can get a FREE backpack filled with school supplies at your local Verizon TCC Store from 12 pm to 3 pm. This offer is valid while supplies last and only at participating stores, so you might want to call ahead if you are making a special trip into town. 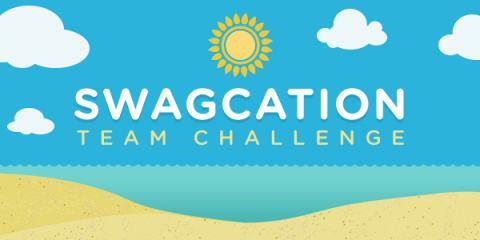 Swagcation Team Challenge ~ Join Today & Earn Bonus Swagbucks! It's a Swagcation Team Challenge! From now through Friday, July 24th at 12pm PT (3pm ET), you can earn a SB bonus! If you aren't already a Swagbucks member, I highly suggest that you join today! I absolutely LOVE being a member of Swagbucks are redeeming my FREE REWARDS! There are many options to choose from, but Amazon gift cards are always my choice. These gift card rewards help pay for both of my kid's Christmas gifts each year, as well as other miscellaneous purchases throughout the year. Join a team by clicking here, then contribute at least 200 points to your team to guarantee your bonus! The winning team gets an exclusive 50 SB Swag Up Rebate, but all teams' members who contribute at least 200 points will get a bonus ranging from 10 SB (for the 4th place team) through 25 SB (the 1st place team). How do you contribute points? I remember the days of carrying around my newborn in their infant car seat during all types of weather and social situations. Rain, snow, heat, wind, crowded grocery stores, shopping malls, and restaurants. One thing I learned very quickly is that all of those elements are stressful for both mom and baby! A car seat cover is a simple solution that is perfect for protecting your baby from the elements. 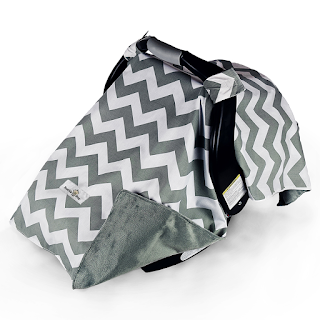 Not only does it keep your precious baby protected from the weather, it also keeps them guarded from touchy people! Krispy Kreme Birthday Celebration ~ Get a Dozen Original Glazed Doughnuts for ONLY 78 Cents! July 9th is my birthday, but I think I'm going to celebrate a day late this year! On Friday July 10th, Krispy Kreme is celebrating their 78th Birthday with a 78 Cents Second Dozen at participating U.S. and Canadian locations. Stop in and buy any dozen to get a 2nd dozen Original Glazed for just 78 cents. 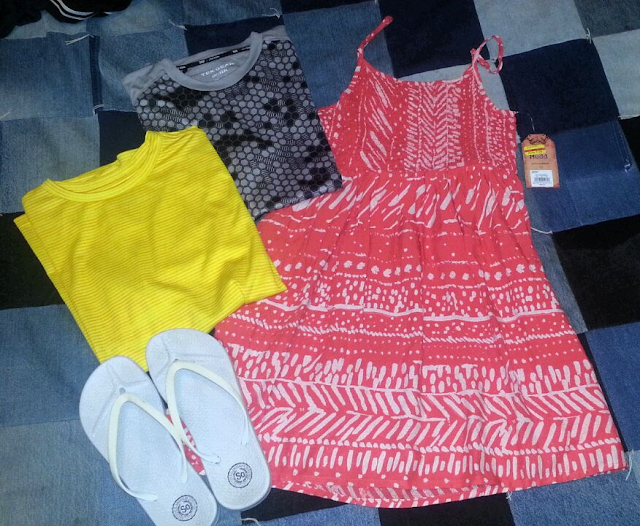 $5 Kohl’s Printable Coupon Deals: $96 Worth of Summer Clothes for $1.06! Yesterday was a great day for Kohl's coupons! I received a $5 off $5 Kohl's coupon in my e-mail and I also received a $10 off $10 Kohl's coupon for my birthday in the mail. That was my cue to head to Kohl's with my daughter and do a little shopping. I ended up finding some great clearance deals that are perfect for the hot summer days ahead of us.